I am currently trying to understand a few things about vector graphics rasterization and the different ways it is implemented in various application types. 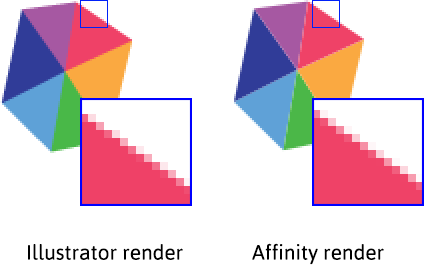 I tested and compared a few programs and noticed that there is a major difference in the way anti-aliasing behaves in the rasterization process. I am especially interested in the rendering behavior in Illustrator. You will see why by reading further. For my testing, I used a really simple composition of triangles organized in an irregular hexagon with different colors. 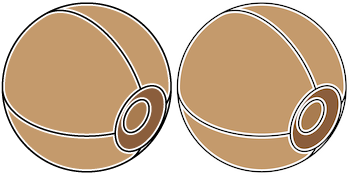 As you can see there is an undesired white line on each of the edges in the image rendered with Affinity and Inkscape. 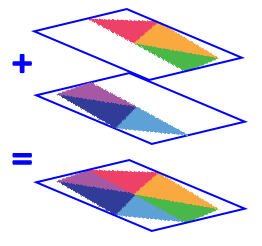 The anti-aliasing does not fill this area with a solid color which results in a small gap between adjacent shapes. Although there is no gap in the Illustrator render, the edges of the shapes look as smooth as the Affinity render. Here is an image showing the same area of each image upscaled. There is a very subtle difference between the two images. The Affinity render is a tiny bit smoother but it is almost impossible to see the difference when looking at the images in their original sizes. Displaying the same graphics exported as SVG in a browser looks very similar to the raster image produced by both Affinity and Inkscape. There are very tiny differences in edges anti-aliasing (that are not really worth showing here) but SVG rasterization in common browsers behaves pretty much the same. Testing Illustrator rendering a bit further, I tried splitting parts of my graphics and exporting them individually then composing them back together with a raster editing software. In theory it would result in the same image as having it in a single piece, but the result is slightly different using this method. As shown, when the two parts are composed, there is a tiny gap between them. Though it is more subtle, it is very similar to the graphic rendered in Affinity. Here is a render made of the SVG inside Blender. It does not have any gap between the triangles. Other 3D softwares are very likely to work the same way. 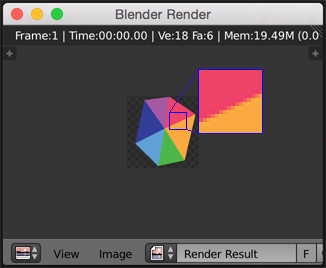 So Blender behaves just like Illustrator, or does it? Maybe it is the other way around? Which vector drawing library does Illustrator use behind the scenes? Is there any less known vector drawing library out there that has the same behavior? As as far as I can tell Illustrator has 2 or 3 different rasterizer. The onscreen preview is also prone to the same gap artifacting as your show though its tuned to minimize the effect. Your post seems to imply that your interested in the "art optimized" output. Image 1: The different render modes of illustrator. Art optimized on left and hinted on right. Note that hinted shows slight background through. I dont have the new CC version so i can not show the third. Art optimized render mode is simply a un-antialiased image rendered at higher resolution, that has then been subjected to a box filtering. This is called super sampling which is costly. A box filter is simply the mean value of the samples in the box (pixel). This is indeed a similar technology as what the multi pixel filter used in your blender render uses. You can do the same thing manually and get same results. In fact the render you get form illustrator is not really good. Its rendered in nonlinear space and not corrected for and you can get better results by swapping to higher order filters and computing in linear color space. All multi sample methods exhibit the same correct rendering (given enough samples even mathematically correct). Image 2: Multi pixel filtering, on left illustrator native 'Art Optimized'. On right same image at 16x16 pixels with multi lobed Lanczos filter in linear space. Make sure your zoom is 1:1. 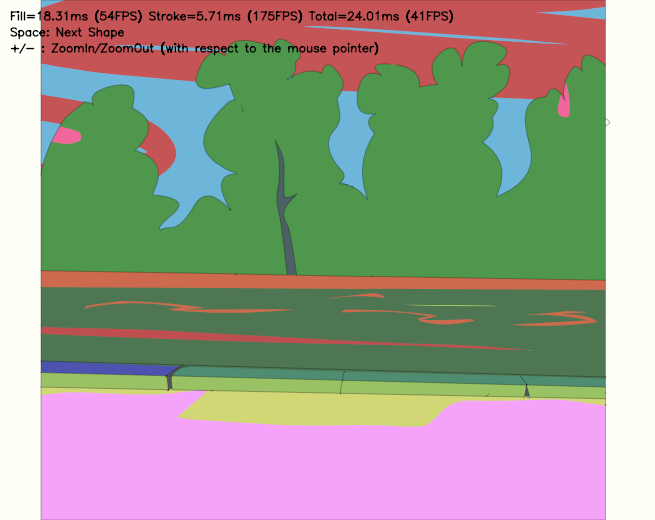 When chained never reaches 0 when chained over semitransparent surfaces so background show trough. Also it does not know how the coverage is distributed so it will do it wrong. There's simply no way around this in a non-overlapping case like this. but if you allow the shapes overlap then the coverage calculation can be solved (See here). Other questions You can get same result in any other engine by just simply multisampling a non-antialiased image. You can not get the effect in on screen renderings without doing the overlap trick because they optimize for speed. Does illustrator use 3D? New CC might depends on your interpretation of what 3D is. This issue has nothing to do with 3D just about signal reconstruction methods so its not applicable to the question really. An Introduction to NV_path_rendering (p. 67) or NV_path_rendering FAQ (#29). Not the answer you're looking for? Browse other questions tagged antialiasing vector-graphics or ask your own question. How does anti-aliasing work, in general, for raytracing?